We take great pride in the dedication and professionalism of our staff. Click below to find out a little bit more about our senior members of staff. The central member of our team, Kathryn has been managing the company since 2009 joining the team after receiving a 1st class BSc Hons degree from Sheffield Hallam University, where she studied Sport and Leisure Management. Through her strong motivational and managerial skills Kathryn has helped Floors of Stone to become the success story that it is today. She is hugely passionate about football, spending 23 seasons playing for local teams, most recently Loughborough Foxes where she won the County Cup before deciding to hang up her boots. She still enjoys watching football and participating in other sports such as Table Tennis. Away from sport, Kathryn enjoys spending time with her friends and family, particularly her two young nieces. She loves to travel both abroad and in the UK and spends the rest of her spare time renovating her house with her husband Andy. 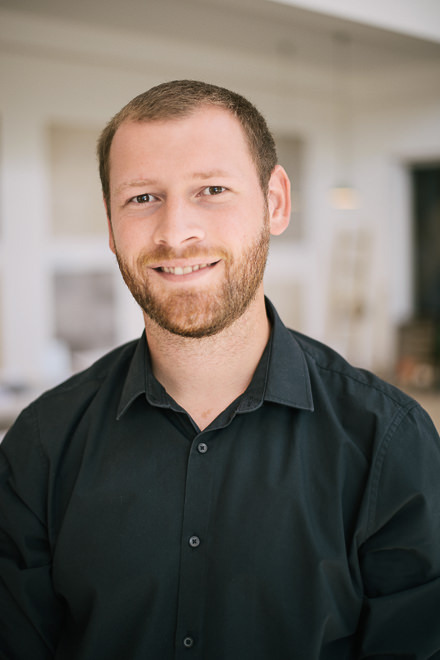 Since joining the team after a successful stint in property, Ben has been one of the longest serving members of staff at Floors of Stone. His ability to problem solve has meant that he has become a senior member of staff concentrating on haulage and logistics to ensure that we provide the best possible delivery service to our customers. He is also a key member of the sales team and has vast product knowledge. Like many members of our team, Ben loves to have a good kick around on the pitch, either with his friends or with his team Dishley Rovers. He’s also just finished completely renovating his first home, but still finds plenty of small DIY jobs to fill his evenings and weekends! Other than playing and watching various sports Ben is a keen traveller, jet-setting off on holidays with friends and family to soak up the sun, with a preference for Greece and America. Since leaving The University of Sheffield where she obtained a BSc honours in Chemistry, Sophie’s analytical mind and attention to detail has seen her rise up to Assistant Manager. 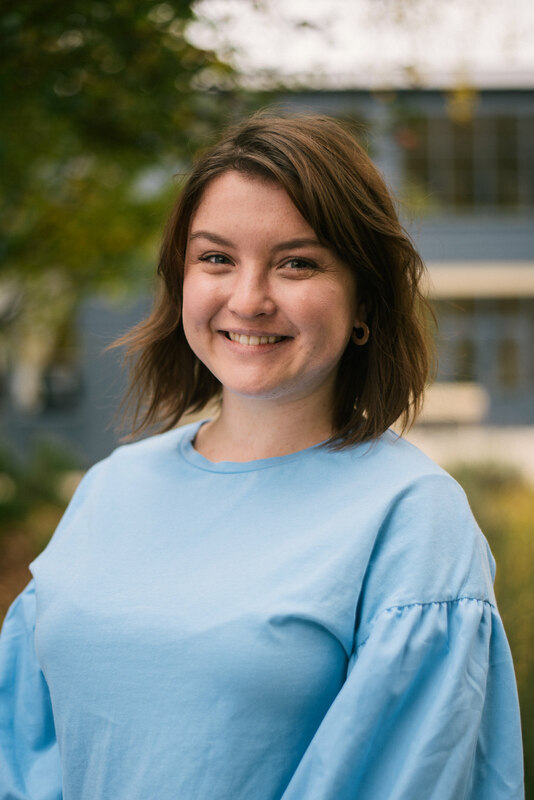 As well as making sure we deliver the high level of service our customers have come to expect, Sophie also takes great care in keeping the company at the cutting edge of social media with daily updates on Facebook, Twitter, Instagram and Pinterest as well as managing our Google campaigns. 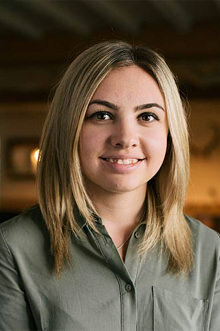 A friendly, hardworking and grounded young woman Sophie has always been a firm favourite with customers, especially when they pop into our showroom to chat about various options of flooring. Numerous interests mean that Sophie is constantly active, from long country walks to her eye for adventure taking her on cycling holidays across Europe. She is also a keen baker and the staff here at Floors of Stone just love sampling her cakes! 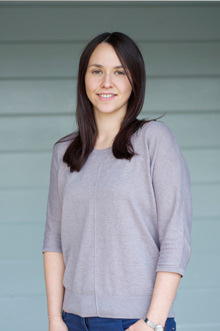 Martha, often described as quirky, became part of our sales team in 2012 after leaving her home in London to join her boyfriend, now husband in Loughborough. Martha is a key member of the sales team and a friendly face to greet our customers on arrival. Martha has a strong passion for music, in which she holds a grade 8 qualification in singing, a grade 7 qualification for the piano and a Vocal Music Diploma. Martha’s mastery over music has seen her perform at the Royal Albert Hall, as well as being a finalist in the Yamaha singer-song writer competition. A further string to her bow can be found as she is a founding member of the successful Folk group Careen, a band that are so talented that they have been known to perform at many venues including our staff parties! In her spare time Martha enjoys spending time with her husband and daughter, and renovating her new home in the Peak District. She also enjoys horse riding, the theatre and has an addiction to watching YouTube videos! She is a very kind person with an interest in raising awareness for animal charities. Paul graduated from Loughborough University in 1987 with a 2:1 and co-founded Insight Design Consultancy which had a strong ergonomic bias and won commissions from The M.O.D, The Royal National Hospital Bath and Cranfield Business College. In 1989 Paul followed his yearning for design and production with one of the design partners, Philip deVries and co-founded deVOL (the name being an amalgamation of their initials). deVOL began specialising in freestanding kitchen furniture in 1993. Paul loves his garden, playing with the kids, his old Hymer campervan, country walks and pubs, and would, one day, like to write a book and make a film. Molly joined Floors of Stone in September 2015 and quickly became a highly valued member of the team. Her work ethic, confident approach and warm, helpful manner have seen her become a firm favourite amongst customers. Molly can usually be found behind our reception desk, welcoming and guiding customers around our beautiful showroom and chatting to them and advising on our different flooring options. Molly loves travelling and experiencing new cultures, with her favourite place to visit being Portugal. She also enjoys spending time with her family, and has three young nieces who she adores and spends as much time with as possible. In her spare time Molly enjoys shopping and following her favourite football team, Leicester City. 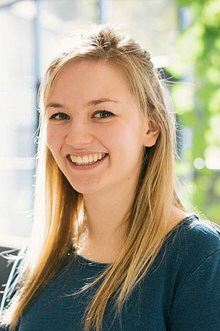 Hannah joined Floors of Stone after gaining a 2:1 in Decorative Arts from Nottingham Trent University, specialising in ceramics and illustration. Our sister company deVOL have recently invested in a ceramics studio, so Hannah has been putting her talents to good use, helping to develop a new handmade tile range. Outside of work, Hannah continues to be creative and has sold her hand crafted porcelain wares and original illustrations at local craft markets. She is also very sporty, and loves running and taking part in charity events, including Tough Mudder, and has ambitions to one day complete a half marathon! She also enjoys cycling, shopping, drawing and spending time with family and friends. Tom joined the Floors of Stone team after working for Caterpillar for three years as a Qualified Manufacturing Engineer. The skills and attention to detail he learned through this role are being put to good use working in our yard, ensuring pallets are packed, samples are prepared and the yard is running efficiently. In his spare time, Tom enjoys watching football, with his favourite team being Leicester City. His background in engineering has helped fuel his interest in planes, and he is fascinated with the mechanics and the way they work. Tom also has a passion for travelling, with ambitions to travel around Europe. After graduating from the University of Central Lancashire with a degree in Sports Journalism, Rob spent six months travelling around New Zealand, Australia and South East Asia. He joined Floors of Stone as a bookkeeper in 2015 and has proved to be a conscientious, hardworking member of the team. As indicated by his degree, Rob has a real love of sports. In the winter months he can be found playing for local teams Sileby Town FC and AFC Sporting Charnwood, which he also helped to set up and managed for three years. 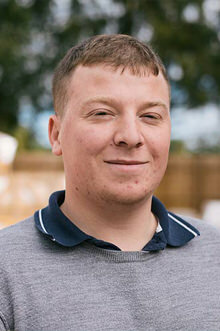 In the summer months, Rob enjoys playing cricket for Loughborough Greenfields as a wicket-keeper/batsman. When not playing or watching sports, he can be found relaxing at home or spending time with family and friends. 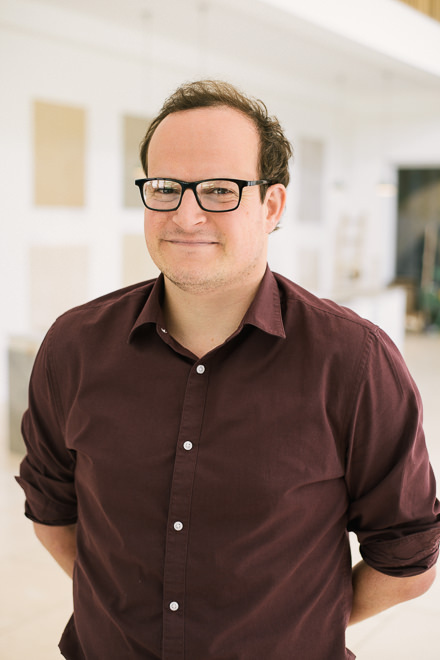 Max joined Floors of Stone in October 2015, and with his wealth of experience in retail and sales he has fitted easily into our expanding team. His broad knowledge of tiles, as well as his friendly manner, has quickly made him popular with customers. He’s recently moved up to the Loughborough area from Devon and has just bought his first home with his girlfriend. Outside of work, Max loves to travel, with his most recent trips to Budapest, Copenhagen and Mexico being amongst his favourites. When at home, Max can often be found playing 5-a-side football, or watching his favourite team Liverpool FC. He also enjoys watching live music, going to festivals and when feeling particularly cerebral attending his local pub quiz. Charlie joined Floors of Stone in April 2016, and quickly settled into his role here at Floors of Stone. His easy phone manner, strong customer service skills and friendly attitude has quickly made him popular amongst his colleagues and customers. 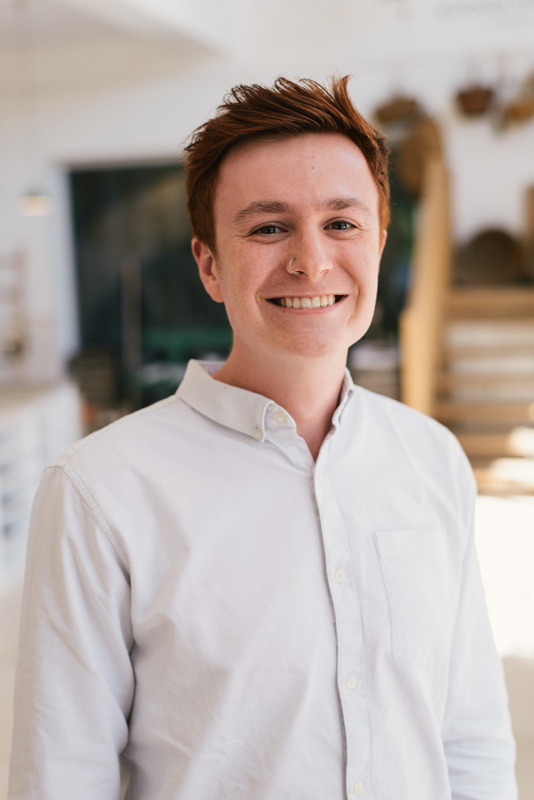 Charlie’s eye for detail has meant his skill set now encompasses helping out with social media and marketing and taking and styling photographs to be used on our website, in our brochure and within our marketing material. In his spare time, Charlie has a long list of hobbies, including skiing, surfing, playing badminton and longboarding (going really fast downhill on an oversized skateboard!). 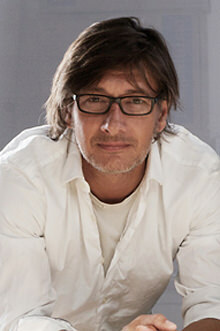 He also loves to travel, with his most recent trips being to Marrakesh, Tunisia and Barcelona. When he’s not being quite as active, Charlie enjoys spending time with family and friends, and maybe finding a new restaurant or two to enjoy. Sarah's strong background in retail has made her a great addition to our team. Her confident manner, excellent customer service skills and friendly approach has meant she has become a real asset. Sarah can often be found in our showroom, guiding customers around our displays and offering advice. In her spare time, Sarah is studying for a degree in interior design, which is really helpful when advising customers about which flooring could work for their projects. She also loves to travel, with her favourite trips being to San Francisco, Portugal and New Zealand; visiting art galleries and finding new restaurants. Despite being so busy, she just about manages to find time to squeeze in a bit of relaxing yoga! Rachael is the latest addition to our sales team, joining at the end of 2018. After graduating with a 2:1 in Psychology, she spent six months travelling around Australia, Thailand and Spain before coming to join Floors of Stone. 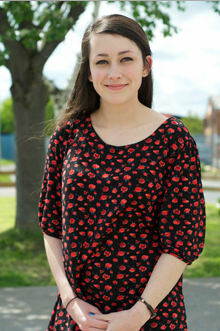 Rachael loves learning about different cultures, and has plenty of places she would still love to visit. In her spare time Rachael enjoys writing, and runs her own blog. She’s already made some great contributions to the Floors of Stone blog, with plenty of ideas in the pipeline to help customers make their decision on their new floor. She also has a passion for music, and is currently learning the acoustic guitar. Everything we do and the success of all our projects is completely dependent on the talent, experience and dedication of our staff. Our customers expect the highest quality flooring at a sensible price and good old fashioned service. All of our staff have been chosen because they are highly skilled in their area of expertise. We are lucky to be in a market town with one of the highest ranking universities in the country, allowing us to draw on a very talented pool of potential employees. Floors of Stone has been established since 2007, originally supplying limestone floor tiles to clients of our sister company, deVOL Kitchens. We now offer a wide selection of natural stone tiles at highly competitive prices from our dedicated flooring showroom, along with our terracotta and porcelain tiles and collection of handmade tiles. We have also recently introduced a brand new range of wood flooring, Planks & Parquet by Floors of Stone, which we think complements deVOL's kitchens perfectly. Our sister company deVOL Kitchens has been established since 1989 and design and make the finest handmade kitchens. 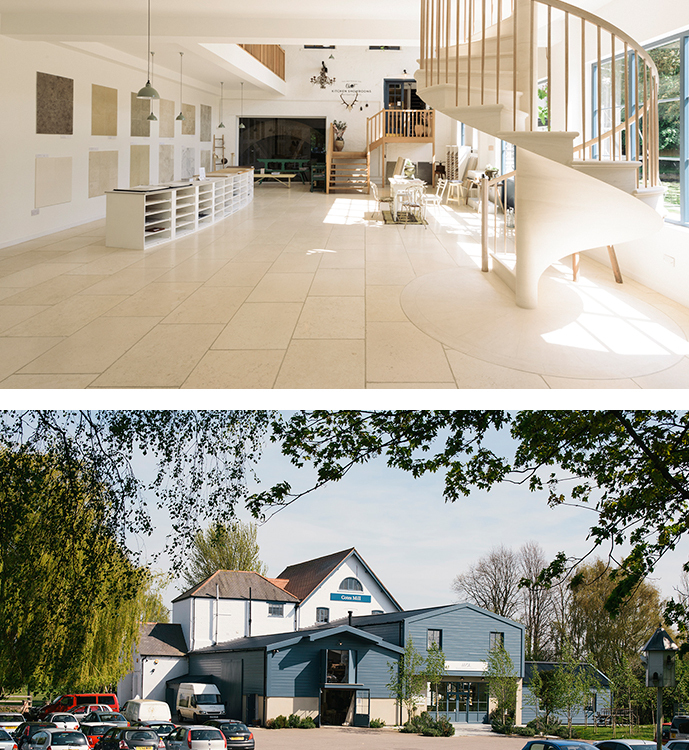 deVOL moved to the historic Cotes Mill in 2013, which is now home to all four of their kitchen ranges, as well as antiques, gifts, interior products and Floors of Stone's 145m2 flooring showroom. Cotes Mill is a renowned local landmark and now our customers can view everything under one roof whilst taking in the enchanting character of the mill and gardens. Today, the deVOL group employs over 130 staff locally and have had their kitchens and flooring featured on Grand Designs and within the pages of prestigious magazines such as Elle Deco, Country Living and The English Home.